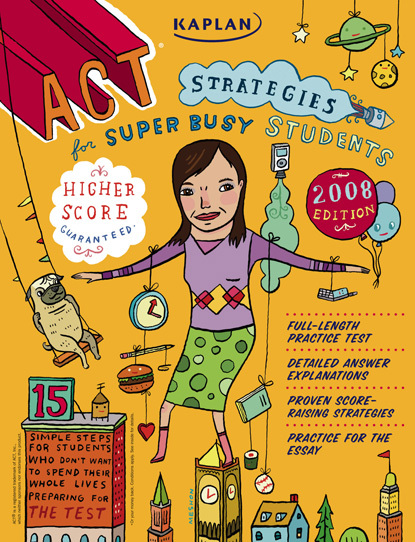 I was so pleased to learn that 2 of my illustrations for Kaplan’s study guides have been included in PRINT’s Regional Design Annual 2008. Out of 20,000 entries only 50 regional finalists were chosen , so I am really honored. 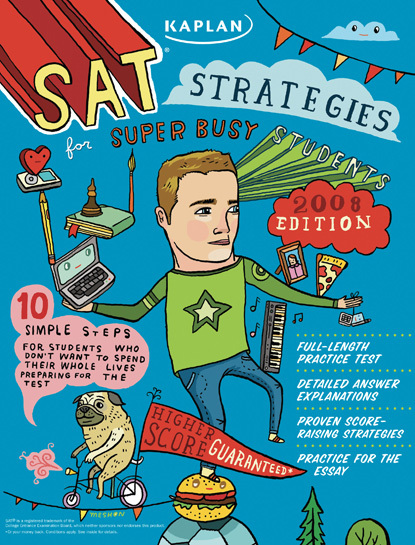 I completed these 2 covers for Kaplan’s ACT and SAT study guides using employees from Kaplan as the models, and since I “failed” the SAT in high school I was proud to finally have my revenge! 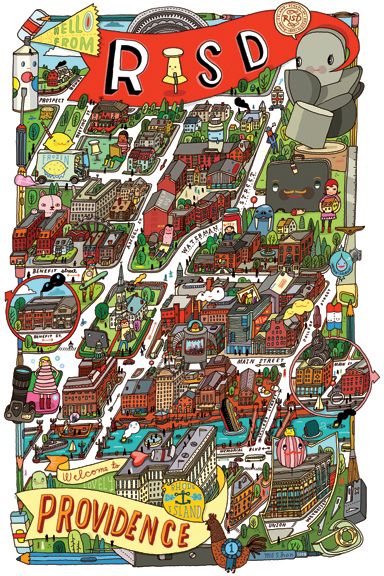 I just finished the RISD campus map! It was fun to spend so much time staring and coloring a Providence, Rhode Island that I remember from my college days, and am really glad that the usage might be a bit broader then the originally planned. If only they had frozen lemonade in Brooklyn.. i might not miss Providence so much in the summer.